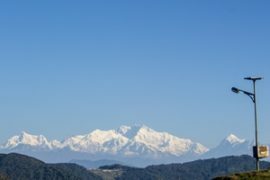 Once you trek into the Himalayas, it becomes an integral part of your strange awakenings and desires; stirring up now and then in an outrageous moment when your mind is eager to expand the horizon. I have not seen any trekker who hasn’t been affected by this syndrome. It brings them back to the mountains season after season, year after year. But what does a regular trekker want in every new opportunity? The higher and the better vistas. My choices for summer 2018 were to select from Rupin. Hampta and Kuari Pass on Curzon’s trail. Once you make up your mind where to go by end January; things automatically fall in place. February and March are times to hit the gym religious and April a short trail run to the nearby mountains. Two months of religious exercises for all parts the body and some light sprinting does the trick. It’s wise to rest a full week before the trek begins. The excitement reaches fever pitch until your pack yourself to New Delhi. It all starts happening now. 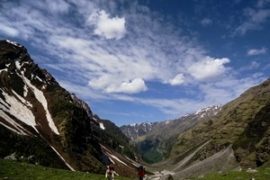 Rupin Pass trek is an odyssey to the diversity and plurality of India. 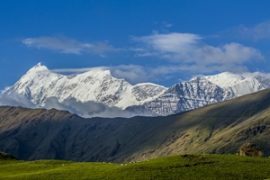 A moderate plus trek; it straddles two of the North Indian Himalayan states of Uttarakhand and Himachal Pradesh in India. Opening up spectacular and diversified vistas like wide open meadows in the beginning to several gushing waterfalls in the middle; it makes you traverse steep ice fields in the end with a final crossing of a pass at 4650 metre. The trek unfolds along the Rupin river over 5, 6 or 7 days depending on your grit, perseverance and experience over 60 kilometres of mountain madness. This trek is possible in two windows May to June/ July and the post monsoon. I had chosen HT because of their expertise and excellent camp conditions; with friendly outgoing guides. 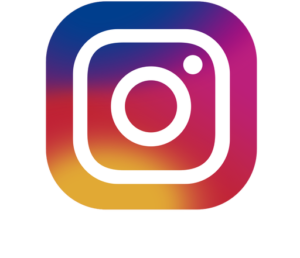 HIMALAYA TREKKERS shows you to respect the mountains and build an excellent team spirit that keeps the morals high. A team of HT had done it before us in 5 days. There was no such plan when our motley group of 8 organized by HT hopped into two desires in Dehradun and raced across the 200 Km to our trek base Dhaula. Having braved the Mussoorie traffic; we had lunch at a roadside dhaba after Kempty Falls. The backside of the dhaba offering a spectacular view of the giant green Himalayan massif of the lower Himalayas to admire while we did a simple ethnic lunch of vegetables, rajma and dal. By the next stops at Purola, Mori and Netwar; the journey gets riveting and you experience the laws of motion an all bends and curves. Suddenly you are in Govind Vanya Pashu Vihar (Govind National park). The last part of the journey to Dhaula is exciting with valley after valley breaking with the turning and twisting road. Most of this road is now set with crash barriers which makes you think of safety; a primary for any trek. At Dhaula Rupin and Supin meet to forms Tons; an important tributary of Yamunotri. The HT team and supports staff greets us warmly and offer friendly encouraging trivia about our quest. Dhaula is an idyllic Himalayan hamlet with home stay facilities. The last of the luxuries are soon to disappear from our lives. The trek begins with a 200 metre steep climb just out of the village; a harbinger of most such things to come. It becomes a scamper alongside river bed over small rivulets and then it breaks into gradual climb soon to put five hundred feet above the river gushing below. A few kilometre into it; you see the Rupin gushing out of a gorge; while we continue trekking over clumps of wild Rhododendrons, ferns and wild flowers. Quaint huts. small eateries and hamlets line up on this stretch. Small school going children wish and smile at you expecting chocolates. The Himalayan Trekkers guide has strict instruction not to encourage this habit. Your heart melts as you absorb the scenery. The going is easy and there are a few short climbs and five to six hours later you reach Sewa; the first night’s stay. Influenced by culture of both states; Sewa has connectivity for Bsnl and Vodaphone customers. After rest; take a casual stroll for a lesson in architecture. Just half kilometre away from the village is an old wooden temple which shows Kinnauri influence and custom. The home stay is far too comfortable and it’s not that cold but you can listen to the Rupin gushing down at the gorge for the full night. Just out of Sewa; you start trekking across the river bed. 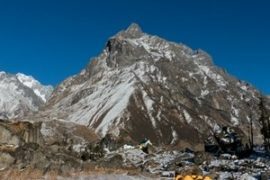 The second day’s trek introduces to all the charms of Himalayan trekking; Broken trails, landslides and overhanging cliff hangs. A little far from the temple is a bridge over a stream of the Rupin demarcating the two states. Step into Himachal without any fan-fare and follow this with a steep ascent to reach the last road head In Himachal Pradesh. This was an easy stretch made more memorable by two eagles who encircled the valley from high above as we made way. Some trekkers from Shimla join the trek from here. The trek follows the Rupin; and you will soon be crossing rivulets and jumping over the moraine; as you make your way with a merry song. The excitement of the trek now touches higher vistas. It crosses the Raj Gad; a large stream where we rest for some time and then the trail suddenly changes track; as it bends and winds its way up; as we ascend circuitously towards the village of Jiskun. It is wise to fill your water canteens just before this climb. The village is a major resting place for chai and noodles while all the teams can stock on provisions. The huff and puff along the climb is worthy of the spectacular sights to behold; as the Rupin glistens far below all along the climb. The going is tougher than the first day but your body is acclimatising well for the tougher battles ahead. From Jiskun you get to do a real exciting part of all Himalayan’ trek locally called “Charfootiya” a four feet road broken at many places with a massive overhanging cliff falling into the jungle below. The trail breaks up in places and the colours change deep in the gorge below. The trail just before Jakha can be a little confusing but if you stick to the left and you will finally labour into the last hanging village on this trek. Complete with the Hillary steps (several flight of stairs inside the village); this village curved into the mountain has several charmed home stays. This is the last village and the rest along the way are going to be pure camping sites. While being replenished with nourishment from our HT kitchen; we soaked in the simple and yet powerful sights that the village offered. As night fell two friendly village dogs came to the house while the HT support team rustles up an excellent dinner in the kitchen below. Theirs is the mandatory team meeting to share experiences after dinner before we retire for the night. A short climb out of Jhaka; it becomes a jungle trek through a deep pine forest. 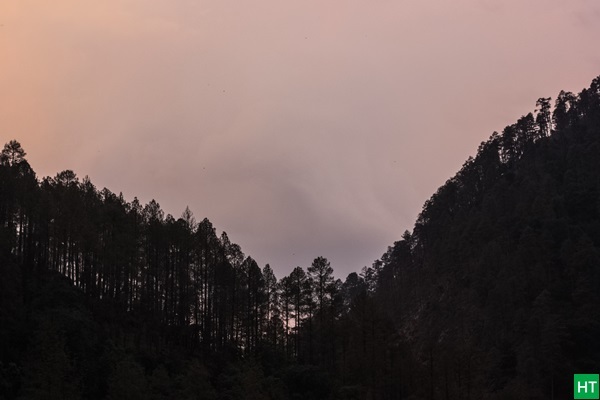 Pine cones are strewn on the floor; dead trees hang precariously on the tracks; and the huge pine forest becomes a sentinel guarding you from the merciless sun above. It is dark and the mood changes. Soon you come across a monstrous decent to the river side which is slippery at places and tests you confidence. As you come in level with the river; you enjoy another of those cascading waterfalls that dot this trek. In winter there is a snow bridge here. In the peak of summer; a simple log bridge will put you on the way to the last standing dhaba on this trek at Jhaka Heights. We had our wrapped breakfast and chai here and experimented with some local cuisine. The first two days of the trek will prepare you for this day as the tracks get slippery and first snow patches appear. The two dogs are making merry of the trail bounding along taking short cuts and sliding in the far snows. A short climb out of Jhaka Heights’ we get caught in the rains. An immediate halt is required while the atmosphere gets threatening and huge rain drops fall. We quickly try to take shelter while bolts of alarming lightning strike around us. The huge trees looks ominous now and we gear up in rain proof clothes. It’s important to carry a water proof cover for your rucksack. The Guide informed us that there was a wooden hut about half hour later on the trek; but mercifully it petered down to drops and slowly we set out in the rain. Camping grassland Udakanal comes up where some team camp, but we had more to achieve. After resting for few minutes at the hut we started our push. We entered a particularly long boulder strewn valley that requires some hopping and skipping. This is the mouth of U shaped valley and several waterfalls join the Rupin from the towering peaks that close around the valley. A number of snow bridges occur at their bases that are frozen snow bridges which have to negotiate carefully. Suddenly the river that accompanied all along the way tapers to canter cutting across an island broken into tributaries. The first view of the famed Rupin waterfall start appearing and all around are frozen icy crags atop the surrounding peaks. 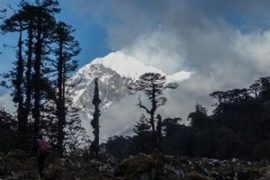 There is another camp site called Suruwas Thatch; our guide points out, but we plod ahead through a colourful meadows of marigold and Rhododendron flowers to another back breaking ascent that hugs the mountain scape. The reward; a grand colourful amphitheatre right in the middle of the entire valley. This is Dhanderas thatch. Right ahead is the Rupin upper and lower waterfall making a grand spectacle. Nobody is complaining now and we take to the huge Bugyal resting our tired bodies. Colourful tents mark the entire expanse of green and our tent is at the extreme end offering a rare view of the waterfalls. The HT team has the tents ready and we enjoy hot tea snacks and tang. Acclimatisation is very important at heights and at lunch; we take a decision to spend a day here. A relaxed evening comes over as the mist moves in keeping us on tender hooks for most of the time. The next day we took it easy. We explored the vast grassland across all sides clicking pictures and stepping on frozen ice sheets. Some went near the waterfall to check the progress of the trek. Quality time in a campsite vanishes before you know it; but we bonded for lunch and shared our experiences. It was also selfie time around and the HT support staff show us some basic skills required for walking on ice in the evening. Dhanderas Thatch (Lower Waterfall) to Ratapheri – High Altitude Sickness (AMS) Problems at Rupin! We are apprehensive about the climb today as the gain in altitude is going to be close to 1000 metre. We are stepping into the 3500 metre plus zone; where AMS or high altitude sickness is a possibility for many. There are various ways to contour its effects and you will be duly advised by the HT trek guide. I personally feel; if you are reasonably fit; keep yourself well hydrated and; then you won’t need Diamox. However the best solution to high altitude sickness is proper acclimatisation and HT trek guides are the best guys to listen to. sticking to our 7 am start; we rapidly cover the first kilometre to the base of the waterfall over a number of tributaries. Careful discretion is necessary not to wet shoes at this level. There’s a challenging climb over the moraine as we climb along the 60 degree ice field avoiding the ice and trekking up the moraine. Gradually the upper reaches reveal themselves for the first time and we are in for a lot of surprises. The number of ice fields increase and the process of cutting steps help in the progress. There’s a simple horizontal ice bridge and then we come to the middle water fall level. Here’s standing on this snow bridge; you watch the Rupin gushing down from top while disappearing under the snow bridge. The greater and higher vistas are opening now; and there are continuous climbing at all three levels of the waterfall; as we reach the top level. The acclimatisation has helped and soon we drop level to the upper waterfall camp after a particularly lengthy and difficult ascent. You are on the top of the world as you have left the entire Rupin valley behind. The entire green belt of the lower waterfall camp is now a colour of delights. The upper water fall reveals vast camping sites, colourful meadows and a lazy Rupin following from a lake behind a mountain. A number of pit stops are needed now as the going is tough but our whole group is prepared well. HT trek leaders marshal us along the way helping on treacherous slopes. There’s a famed rock point for selfies and you can go right up to the snout of the upper water fall and pose with the Rupin gushing down below several hundred feet in the valley below. This is not recommended for the fainthearted. The weather is clear and the sun beats down on us. It’s fav moment for us; for we have conquered our apprehensions and we plod ahead. The crossing of the upper water fall will have a bearing on us covering the pass the next day. After traversing another bone jarring ascent we suddenly veer into a huge glaciated bowl. This is Ratapheri from where we will cross the pass. The upper alpine ranges of Dhauladhar are now our sole sentinels and form here to the pass is a paradise of snow. We have pitched tent right next to the glacier and we practice our first steps with the micro crampons. The Ratapheri camp was the perfect step for covering the pass next day. The temperatures are quite low and the thermals come into use at night. Gators could come useful here and some teams had them. Camping in the blustery glaciated bowl; we fortified ourselves for the final push. Mini crampons were strapped and we trudged for practice runs into the ice which stretched just feet away from our tents. Excellent hot meals replenished our energy levels and our spirits were now high to meet a blustery cold night. Going to the toilet tent at this camp at midnight is no mean achievement. Walking or balancing on ice sheets is not easy. One small step into the thin ice meant finding ourselves getting suddenly swamped into it. But It was certainly not life threatening; lot of people were enjoying the slides and HT support staff held us to solid moorings. The trick is perfecting the simple techniques fast. Soon after perfecting a few tricks like distinguishing thin ice by the colour, cutting steps and stepping on solid footprints; you gain confidence. The pass was now visible as a thin gateway stretched towards the upper Dhauladhar range. The gradient looked exceedingly challenging; but so had the upper water fall from the valley below. All of us were in high spirits and raring to go. 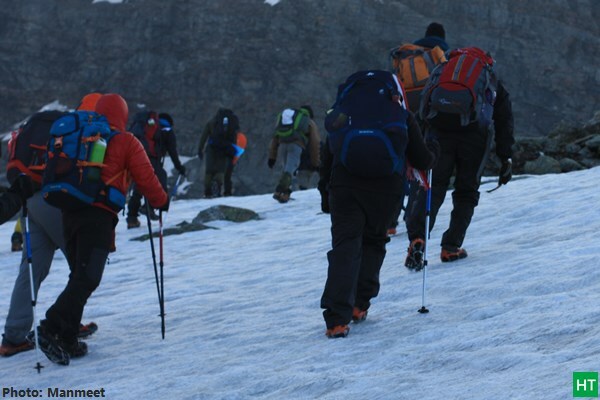 Like all ascents over glaciers of 4000 metre and above; we have to start early before 6am; so that we crossed the better part of the glacier before the sun went high and the made it slippery and unstable. Early next morning we enter the bowl of ice and progress is slow at first. There is an initial climb over a broad shoulder of snow; as we heed out towards the gully; keeping the pass in sight. Sometimes a broad muscle of snow on our trail broke off to expose the swirling water below. We trudged on cautiously… The singularly undulating white paradise stretched on; while the sun gradually rose and came up the horizon. We managed to reach the last flank before the climb to the pass. It’s was a difficult two to three hundred metre climb and you needed a good rest before you attempt. It’s at such times that the ice axe works as a wonder. To reach the pass you have to climb this flank of icy boulders and the HT support staff helps you all way. Ahead other teams were into the main gully. The last climb through the gully is open to loose rocks and mountains. The climb is now sometimes on all fours and you drag yourself through the gully. It’s important to keep gap from the other person and not let loose a cannon of rocks and pebbles down the gully by taking a false step. Voices of other climbers echo in the gully; it is ethereal; but this is what the whole team has been waiting for and suddenly extra energy comes into my arms; as I slither ahead like a tough professional. Halfway up we take stock of the entire team and rest. It’s wise to let porters and guides lead the way in this stretch. The outer rim is now visible and helping hands of our porters pull some of us to the top. We are now at Rupin pass saddle at a height of 4620 m; there is a unique joy of delight and satisfaction among most of us. There’s a lot of back clapping and handshakes all around. For our descent, we see a vast snowscape and all around us we view the peaks of the Dhauladhar range in spectacular proximity for the first time. People celebrate and take a darshan at a make ship Shiv Mandir. I can vouch that; it’s here that you feel closest to God and nature leaves you in a transcendental meditation. You realise that you have nailed it. After customary photo opps; you step into the descent and the final surprise of the trek hits you. In early summer beginning to mid may the snow on Rupin pass trail is considerable and covers a larger area. Descending through a series of such sharply inclined snow slopes can take hours. There’s a better way to glissade or slide down these slopes in a few seconds. Some trekkers to Rupin do this at three levels while descending from the pass. It appears daunting at first; but again there is great fun in this activity once you perfect the finer points. Some of the old porters have seen snowfields right up to Ronti gad; our camp site but this is late summer and we trudge down to from where we have to take the slide. There is a slide of 300 to four hundred feet with a stopper in the form of a porter at the bottom of the slide; to arrest the slide. We start going down like nine pins. One after one; we let our shrill cries of jubilation as we hurtle down the slope at great speeds to cover this vast snow field. Within minutes the steep saddle of Rupin pass has become a distant speck in the mountain line. We cover the last of the snow fields and open our mini crampons and step into the inviting green meadows. This is Kinnaur and we cross a number of rivulets flowing out from the glacier as we descend. It looks and feels like a different weather system from the other side of the pass. At the back of our minds; is that we are going to have the last of our camps today. Life at HT cap site had become a habit where we enjoyed brotherhood and spirit of the mountains. The upper peaks of the Kinnaur look menacingly close but the Himachali landscape is uniquely different from the Uttarakhand topography of our first day. This part though looks like vintage Switzerland. The green meadows of Ronti Gad; another camp site are inviting but we make our tired legs plod on. 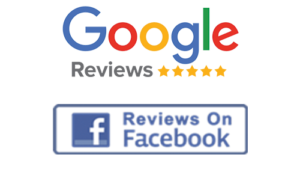 The decent is very bad on the knees and your body is jarring and the last part to our camp at Kanda Sangla is particularly tough. On the opposite slope is a huge collection of Bhoj or Birch trees. We stretch out on the inviting turf at the campsite dead tired; while the efficient business of pitching tents goes on. Shepherds come up this trail and we relax and left low our guards for the first time. We reflect that the mountain have been kind enough with good weather and offer our thanks. By evening we drag ourselves to the kitchen tent for a round of celebrations. The trek is now coming to an end and we celebrate our bonds and travels with local folklore from two local villagers at night. The night is long and we retire late under the stars. The trek to Sangla from Sangla Kanda is through a jungle and has many trails and tracks crisscrossing. There are two ways down and one can take any one of these trails while avoiding going down to the river. There are quaint village houses all the way down and you see villagers working. Sangla is an important town of Himachal and part of the Kinnaur Kailash circuit. The last day walk through a pine forest takes its toll and you are more than ready to welcome civilisation by the time you cross the steel bridge over Baspa to enter town. P.C and special thanks to Manmeet for sharing the photos of the trek. 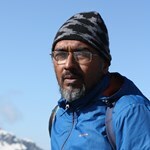 Udayendu is an avid trekker with numerous exploits in Himalayas and Western Ghats. Professionally he is a communication specialist with ideas for branding, advertising and designing.